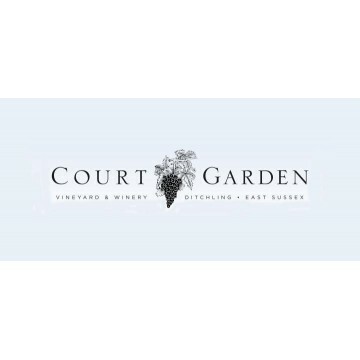 Court Garden is a family-run, single-estate vineyard and winery in East Sussex, set on a beautiful south-facing slope with the South Downs as a backdrop. It covers 17 acres, mainly planted with the three traditional Champagne varieties Pinot Noir, Chardonnay and Pinot Meunier. In 2008 the still varieties Pinot Gris, Ortega, Dornfelder and Rondo were added. Their Sparkling English Wines are all hand-crafted using traditional grape varieties and bottle fermentation, where long ageing on the lees adds to the complexity of the flavour. They are passionate about the grapes they grow and the wine they make and in recent years that passion has been rewarded with numerous national and international awards. A delicious bend of Chardonnay, Pinot Gris and Ortega. Following good summer ripening the Chardonnay..